Within a stone’s throw from the medieval walled town of Laguardia, itself home to some outstanding architecture, notably the church of Santa Maria de los Reyes with is fine polychromatic portico, one may visit the pre-historic dolmens at El Sotillo or La Hechicera or, at the other extreme, Santiago Calatrava’s Bodega de Ysios at the vanguard of modern architecture. 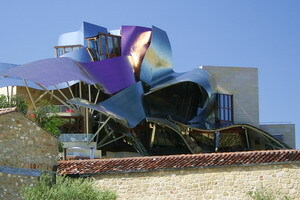 Recent years have seen the area develop one of the world’s finest collections of modern architecture, unusual for its setting amongst vineyards, not least Frank Gehry of Guggenheim fame’s Riscal building in nearby Elciego. 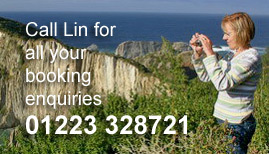 There are several good prehistoric sites and a wealth of medieval villages each one perched on a hillock which serve as vantage points over the vines.